Mark O’Neill is an accomplished leader with extensive domestic and international experience in military, diplomatic and corporate arenas. After concluding a thirty-year career in the United States Army, Mark successfully served in senior positions at defense industry leaders L-3 MPRI and CACI, and at engineering giant Fluor where he led the logistics support effort for coalition forces in Afghanistan. During a distinguished career in uniform he served in leadership positions from platoon through multi-national division level, with peacekeeping and combat deployments to Haiti, Afghanistan and Iraq. Two tours in the Pentagon serving on the Army Staff honed skills in the development of strategy, plans and policy. Mark also served in political-military assignments as an Army Foreign Area Officer in Hong Kong and as a Defense Attaché at the U.S. Embassy in Beijing, China. He concluded his military career developing the nation’s future military leadership at the U.S. Army Command and General Staff College. As a business owner, he is a leadership development and organizational growth consultant to Fortune 500 companies, assisting in their efforts to manage change and better serve their clients and shareholders. A native of St. Louis, Missouri, Mark is a 1978 graduate of the United States Military Academy at West Point where he was awarded a Bachelor of Science degree in general engineering and commissioned into the Infantry. 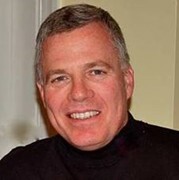 He holds a Master of Arts degree in National Security Affairs from the Naval Postgraduate School, studied Mandarin Chinese at the U.S. Defense Language Institute, the British Ministry of Defense Chinese Language School in Hong Kong and at Beijing University, and is a graduate of the U.S. Army War College and the National Defense University’s CAPSTONE program for General and Flag Officers. An avid hiker, aspiring writer, and loyal St. Louis Cardinals baseball fan, Mark is the husband of Lori, his wife of over thirty-five years, and father of sons Colin and Logan. He resides in Virginia.